in the heart of downtown Detroit IS a spacious and relaxing oasis that offers world-class views, daily entertainment, and outstanding people-watching. The Fountain Detroit in Campus Martius Park is a full-service restaurant and bar creatively built within an adapted shipping container. Our wood deck is dressed with bright colored umbrellas and a colorful variety of seating options such as tables, four tops, picnic seating, high tops and lounges. Colorful planters keep our space lively, and additional table umbrellas provide comfortable shade. Kick back and enjoy the city from your beach-side paradise restaurant and bar. Campus Martius Park is an extraordinary public garden and civic space where residents, workers and visitors come together to relax and play, and to enjoy and celebrate Detroit. At just over 2.5 acres in size, it’s an open yet intimate place to enjoy the city, and to refresh, connect, and create. Campus Martius receives more than 2 million visitors and hosts more than 900 events each year. 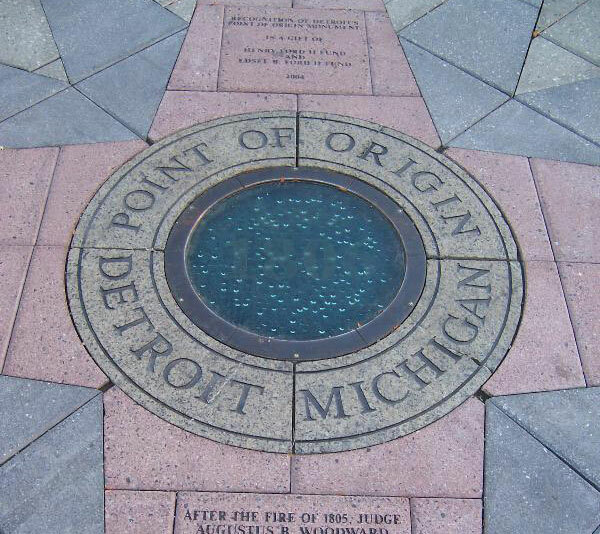 Campus Martius park is the “Point of Origin” of Detroit. Eight miles north of this point is Eight Mile Road, and so on. 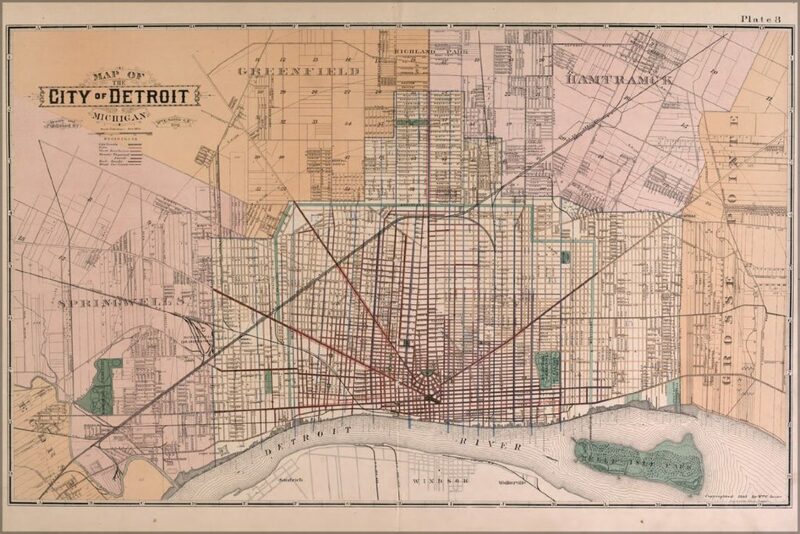 After the fire of 1805, Judge Augustus B. Woodward was appointed to lay out a new plan for the streets, squares and lots of Detroit. The Point of Origin is marked by a medallion embedded in the stone walkway to the west of the Woodward Fountain. Downtown Detroit boasts a daytime population of upwards of 250,000 people. More than 35,000 people live and 135,000 work within the 7.2 miles that make up greater downtown Detroit. Major employers in the area include General Motors, Quicken Loans, Blue Cross & Blue Shield, Compuware, Meridian, and Lowe Campbell Ewald. More than 70 new restaurants have opened in Detroit in the past two years. In 2015, greater downtown Detroit received 13.7 million visitors.